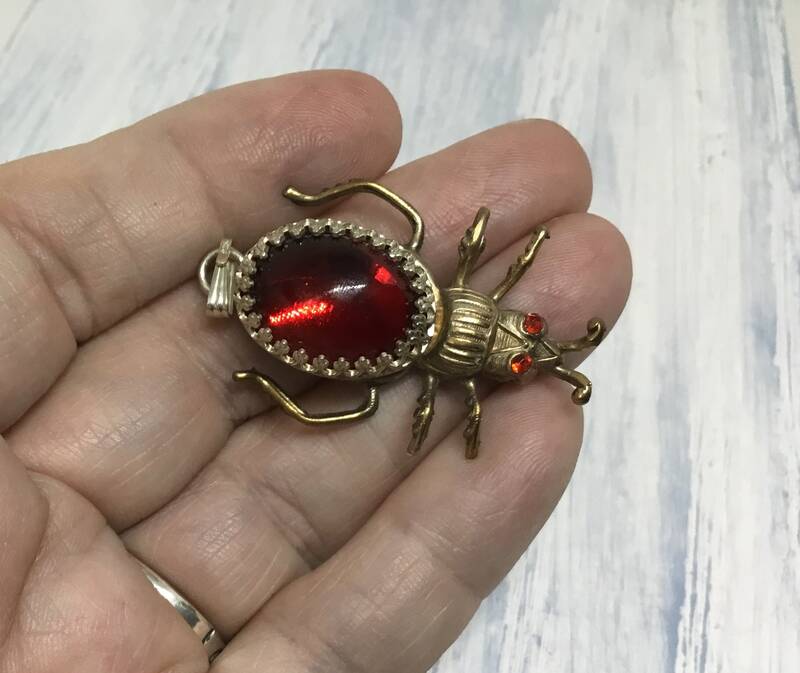 This is a handcrafted Steampunk Bug pendant made by Steve in our studio. 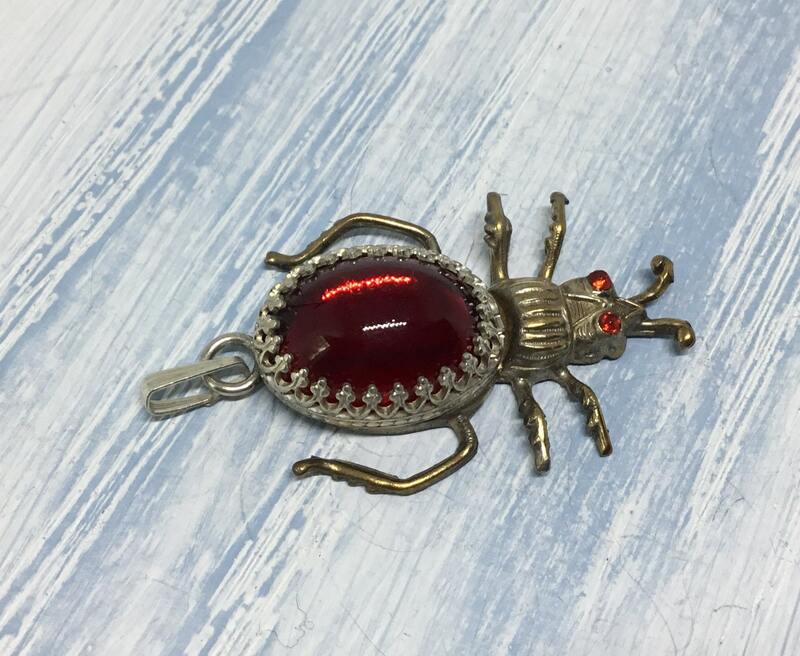 It is a brass bug that has been electroplated antiqued Silver plated. 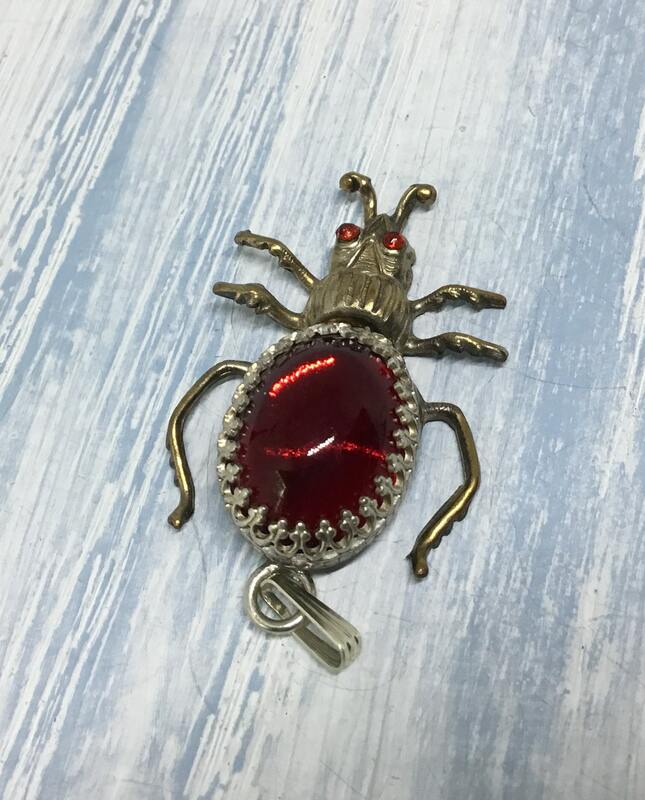 It has red rhinestone eyes and the body is a vintage red Swarovski Crystal. The bezel is a high Fleur de Lis design. 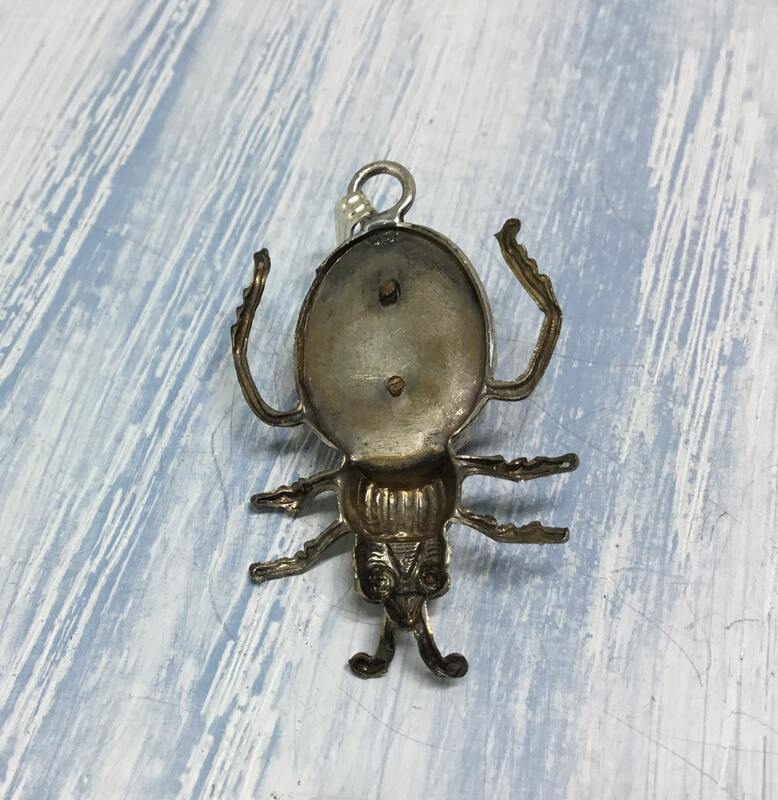 It measures 1 1/2” x 1” and has a connector for a chain. 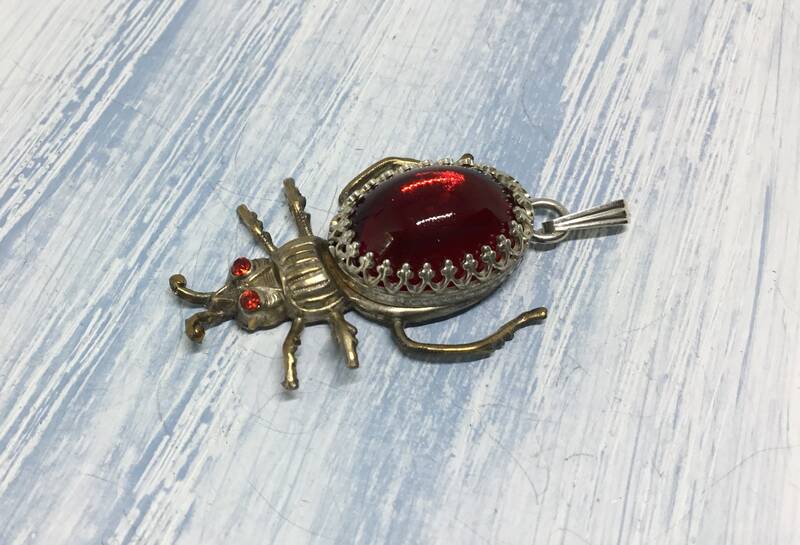 This is a cute little bug you may want to wear or give as a unique gift!